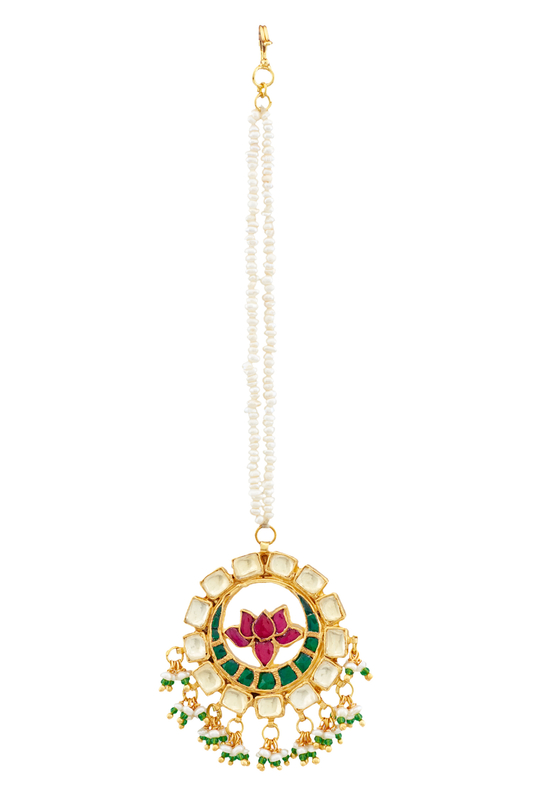 Pink lotus kundan maang tika designed by Maisara at AASHNI+CO. 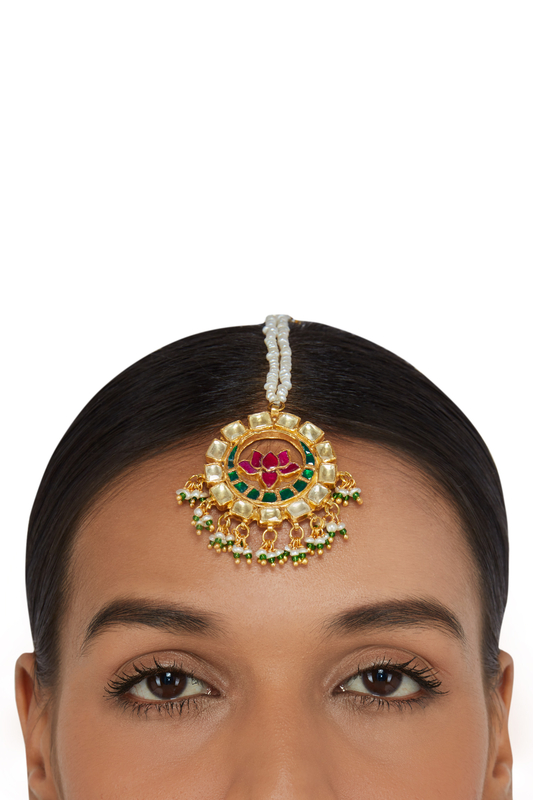 Maisara designs a stellar piece to complement your regal ethnic looks with this kundan jadau bejewelled maang tika primped with lotus motif details and dainty pearls. Accessorize it with your anarkali lehenga for a dazzling look.